Thanks to all who joined in the fun and games at MIPTV & Connected Creativity last week. Here's who won! 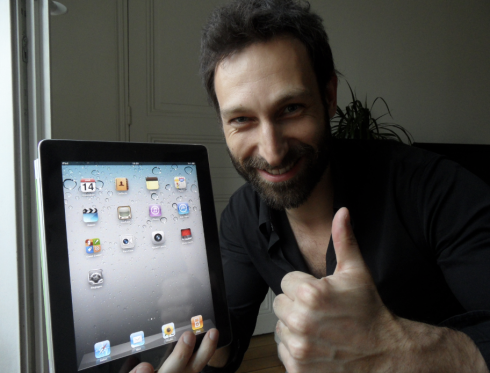 & Thomas Karolak of Vivendi Mobile Entertainment (photo) won the grand prize: an iPad 2 for being the Foursquare mayor of the Experience Hub! Congratulations to all! You can also still listen to the sounds collected from Cannes on our map, made by partner Soundcloud; and we hope you appreciated Balloon, our in-conference Twitter/Q&A screens.